The Lord Ayyappa temple at Sabarimala was closed on January 20. There is a sense of anxiety in and around Sabarimala as the Lord Ayyappa shrine reopened on Tuesday for monthly worship, after witnessing frenzied protests during the recently concluded annual pilgrim season over the entry of young women. 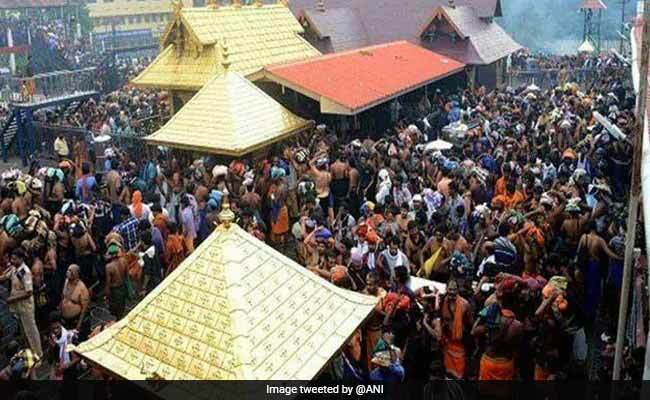 The hilltop temple has opened for five days till February 17 for the monthly pujas during the Malayalam month of Kumbam, temple authorities on Monday said. Several special rituals including ''kalabhabhishekam'', ''sahasrakalasam'' and ''laksharchana'' would be performed during the five days at the shrine, the ''sanctum sanctorum'' of which would was opened by chief priest Vasudevan Nampoothiri this evening.